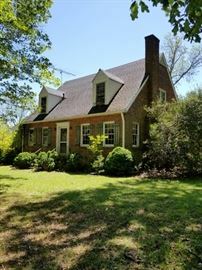 AddressThe address for this sale in Jackson, GA 30233 will be available after 9:00am on Thursday, May 2nd, 2019. Please bring help to load large items. There will be no porters on site. We accept cash, good checks, and credit cards. Numbers will be given out at 7:30 prior to the sale. Do not block driveways! Park only on one side of the street as to not impede traffic. This is the estate of the historic Browning Dairy Farm in Jackson, Georgia. There are many primitive farm treasures inside and out!